What Is a Litigation Support Professional? What is a litigation support professional? Is this the career for you? Litigation support professionals assist attorneys in managing large-scale litigation. They design and implement databases for managing, sorting, indexing, abstracting and coordinating the large volumes of data produced in major litigation--particularly in preparation for trial. Litigation support professionals might also develop data management strategies, assist with technology in the courtroom, provide user support and training on both off-the-shelf and proprietary software, and coordinate with technology vendors. Some litigation support professionals are paralegal/IT hybrids who perform traditional paralegal tasks while assuming information technology roles. 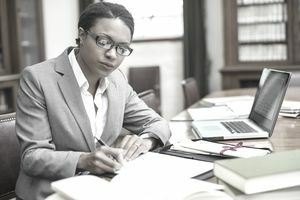 Litigation support professionals typically possess a four-year bachelor's degree in a related field, as well as advanced technical skills and training on database and litigation support applications. Some litigation support professionals possess advanced degrees, and some have even earned law degrees. It's not unheard of for a practicing attorney to shift his efforts to this side of a practice. An understanding of the discovery process is critical, so anyone with previous experience in this area, such as a paralegal, would have a leg up. In many law firms, educational requirements may be less important than acquired skills. Related legal experience in the range of four to seven years is preferable. Solid IT knowledge and a familiarity with document management systems and trial presentation software, hardware, and graphics applications are important. Litigation support professionals must have strong communication skills because the position involves a great deal of interaction with attorneys, staff and vendors. It also requires exceptional organizational abilities, critical thinking skills and keen attention to detail. Litigation support professionals are largely employed in law firms, corporations, and legal consulting firms. The median annual salary for litigation support professionals is just shy of $84,000 as of June 2017. This is somewhere in the middle of national salary levels for this position ranging from a low of about $69,000 to a high of approximately $95,000 a year. This can vary by firm and the area of law in which the firm predominantly practices, as well as by location. Salaries are typically higher with large firms in metropolitan areas. Litigation support professionals often work in management roles, supervising IT staff, vendors, litigation support staff, paralegals, junior attorneys and teams of document coders, abstractors, and data entry personnel. Some litigation support directors and managers earn salaries in the six figures. With recent changes in federal laws prompting a proliferation of electronically-stored information, litigation support professionals are in high demand. As the industry evolves and litigation support technology becomes increasingly complex, the need for professionals with specialized legal and technological skills is expected to continually grow. This new industry has recently established the Association of Litigation Support Professionals (ALSP), dedicated to advancing the profession and to contribute to the career development of practitioners around the world. Litigation Support Today is a magazine dedicated to the litigation support industry.